See more here. Great food photos. Get amped. Also, look for a special The Loneliest Thanksgiving Series. i am maybe in denial which explains why i have not posted any photos or feelings on the internet because posting would mean that vacation time is over. post-sweet-trip-depression is setting in hard. The good news is that I flew home with Cousin Rebecca and slept the entire flight and did not get any panic attacks which is huge progress. Apparently Aunt Daphne was thinking of me before the flight because she sent Cousin Rebecca a text of the day: BUY ALEX A DRINK!!!! I’m at the airplane station. I drank two marteenees. Let’s do this. OMG I have flying. It’s Tuesday. Know what that means? Nothing. But tomorrow night I am going to the airplane station where I will drink two marteenees and then sit in a metal tube and get flung at 30,000 ft through the air from Philadelphia to Boston where I will find Ma Sweet and SarahSweet and the rest of the Schweetz and we will eat birds and potatoes for five days. Who’s amped? This one. This weekend I celebrated some birthdays. First it was Zach’s birthday which was on the 17th and we all got together on Friday n ight and wore dark colors and Zach wore a light green shirt and this helped us to identify him in a crowd or an unposed photo. Then Sunday was Boris’ birthday. He turned 23. Maybe 21. Probably 16. He was born in 1987. This was confusing. We went to a bar and bought him shots and then I left because I felt old tired. In related news: My digicamera eyelids are also old tired and have trouble opening all the way. This makes me nervous. I tried to pour coffee all over DigiCam to wake it up but instead it just fell asleep. Just kidding. Technology jokes. It’s Friday. 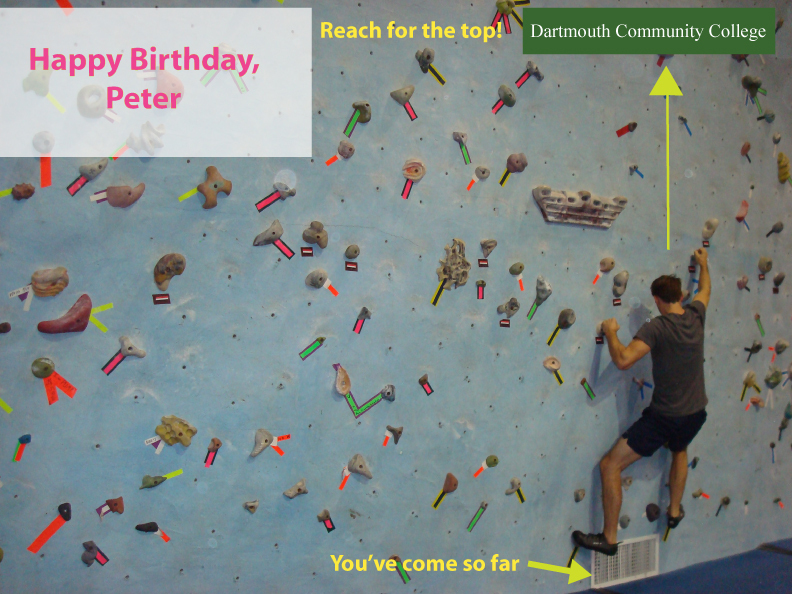 It is also Peter’s birthday. Turning 38 in grad school must be hard. Here is a photo of Cousin Rebecca opening her birthday gifts. 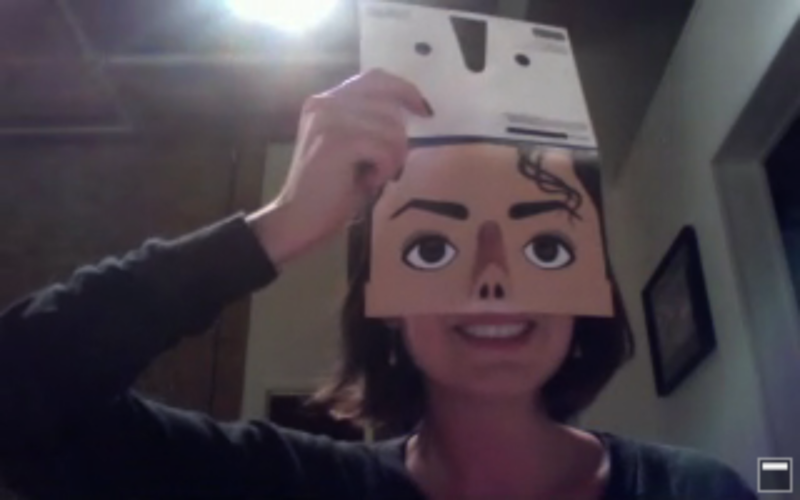 Here is a photo of SarahSweet wearing her Michael Jackson birthday card from Aunt Lynn. Happy Birthday SarahSweet, Cousin Rebecca, and Hach Zesse! Tomorrow I am presenting my revised street designs for the downtown capital of Aruba. Originally I was designing one street and now I am designing all of them. This is a lot of work. This means I will maybe not go to bed tonight. This is too bad. The good news is that it’s not raining outside.